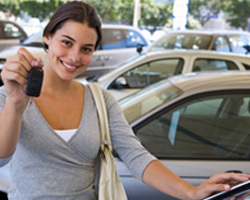 BH LA car rental also known as Beverly Hills car rental in LA offers upscale vehicles as well as standard cars. Most of their customers are loyal to the company due to the type of vehicles BH LA car rental offers that are exotic and luxury vehicles. The latest hot models of cars as well as stylish vehicles can be rented so you can drive around Beverly Hills and fit in with the stars. The company not only offers rental vehicles but also has other services such as professional drivers, luggage transfer service, security devices, and airport meet & greet, to name a few. BH LA car rental offers three locations in the Los Angeles area as well as a location in Newport Beach, California and Las Vegas, Nevada. BH LA car rental places their vehicles into categories including classics, convertibles, exotics, hybrids, luxury, prestige, SUV, sports, Standard, trucks, and vans. The brands of vehicles offered are upscale and top of the line including Aston Martin, Ferrari, Lexus, Audi, Ford, Porsche, BMW, Honda, Toyota, Bentley, Hummer, Maybach, Bugatti, Jaguar, Mercedes Benz, Cadillac, Lamborghini, Land Rover, Chevrolet, Lincoln/Mercury, and Rolls Royce. Looking at the various categories, you will find in the classics, vehicles like the Auburn Speedster CVT, 1959 Cadillac Deville, 1971 Dodge Challenger, 1967 Pontiac Lemans, and the 1964 Corvette Stingray. With the convertible line, you will find the Mercedes Benz SL63 AMG, Chevy Corvette convertible, and the Audi A5CVT. Exotic cars found with BH LA car rental include the Ferrari 458 Italia, Aston Martin Vantage CVT, and the Lamborghini Gallardo LP560. With Hybrid’s you will be able to choose from the Mercedes Benz S400, the Toyota Prius V, and the Porsche Cayenne S Hybrid. If you are looking for a luxury car then you will be able to choose from such models as the Audi A8L, jaguar XJL, Cadillac CTS, and the Panamera, among others. BH LA car rentals in the Prestige collection offer the Bentley Flying Spur Speed, the Maybach 57 S, and the Rolls Royce Drophead. SUV’s are very popular with models like the BMW X6, Audi Q7, and the Hummer H2. In the sports category, BH LA car rental offers the Fiat 500 C, Mercedes Benz E350 coupe, and the Mini Cooper Countryman. For those looking for a sports car from BH LA car rental, the prices for a one-day rental picking up and dropping off at LAX includes the Mini Cooper Countryman for $119.00 per day with 100 free miles and the Fiat 500 C for $89.00 per day with 100 free miles. If you wish to rent one of the vehicles in the classics group, the prices for a few for a one day rental picking up and dropping off at LAX include the Auburn Speedster CVT for $379 per day with 50 free miles, 1964 Corvette Stingray for $599 per day with 50 free miles, and the 1967 Pontiac Lemans for $499 per day with 50 free miles.